Translate directly in business applications you use every day—Word, Excel, PowerPoint, and Outlook. Details: Translate Business offers translation right from your Word, Excel, PowerPoint, and Outlook toolbars, making business translations quick and convenient. A business dictionary for translation of specialized business terminology. 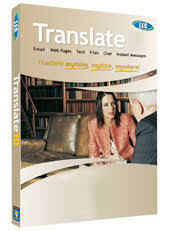 Longer subscription to our online translation service. With Translate Business, you also get an introductory subscription to Translate DotNet, with its easy-to-use desktop toolbar. Our subscription services give you online access to all languages that LEC supports— more than 20 languages. After these initial subscriptions expire, you may resubscribe to a single language pair for as little as $5 per month. You do not need to resubscribe to continue to use Translate Business from your desktop.